and cut greenhouse gas emissions by almost 20%. But the gap between ambition and achievement remains considerable. And Mongolian NGOs are rating Mongolia’s progress towards the green economy at only 3 out of 10. Four years on from the June 2014 launch of the Mongolian Government’s National Green Development Policy (NGDP), the new research finds that such efforts have not been enough to address severe problems with air pollution, desertification, urbanisation, and over-reliance on volatile exports. 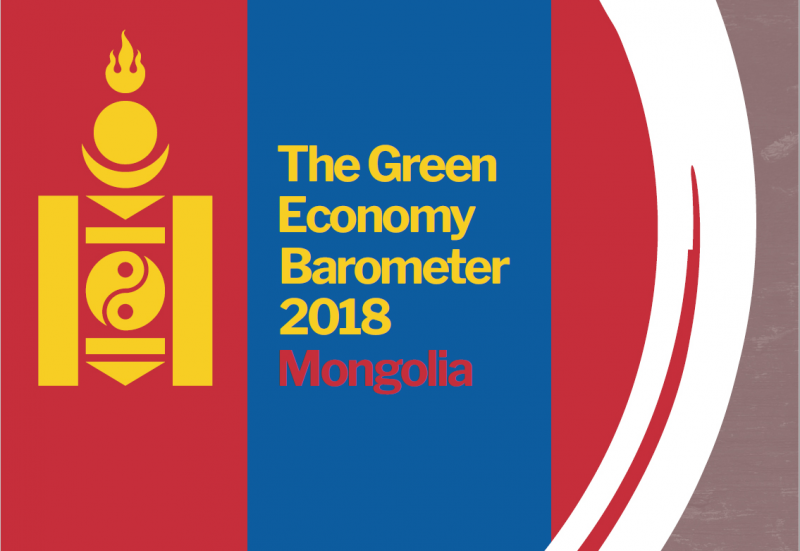 The Mongolia Green Economy Barometer 2018, published today by Mongolian thinktank the Economic Policy and Competitiveness Research Centre (EPCRC) and the Green Economy Coalition (GEC), suggests that in the long run, supporting green economic planning will offer a more sustainable path for the future. Therefore the GEC is calling on the Mongolian Government to match rhetoric with reality, by committing 4% of Mongolian GDP to investment in green economic reform, sustainability programmes, and environmental protection. “Mongolia is a good example of the crucial difference between legislative commitments on paper, and genuine action on the ground,” said Lakshmi Boojoo, who lead the research for the EPCRC. Mongolia’s mining industry drove explosive economic growth in the early 21st century. But a recent slump in global commodity prices led to an economic downturn highlighting the fragility of Mongolia’s progress to date. And the boom years left other legacies, too: some of the worst urban air pollution in the world, rapid desertification of the planet’s largest grassland ecosystem, and infrastructure failing to keep up with rapid urbanisation.